Back in 2017, IKEA announced its collaboration with industrial designer Tom Dixon for the ‘DELAKTIG’ collection that included a hackable sofa. Customers were able to add different features, such as shelves, to the sofa that could also double as a daybed. 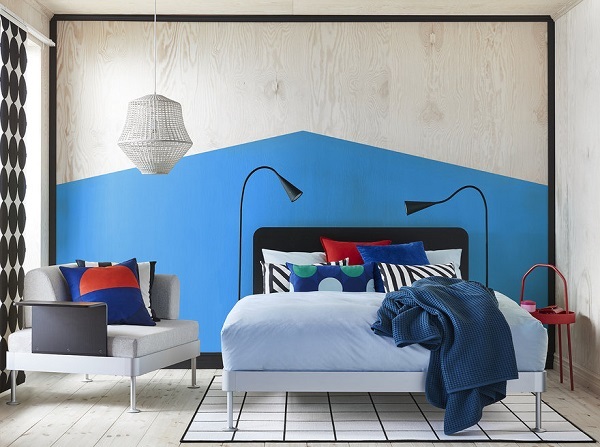 Now, IKEA and Dixon are back at it again, taking the same concept and applying it to beds instead. 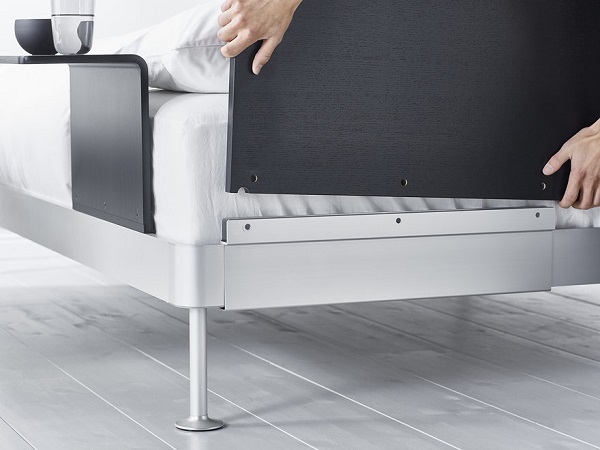 The customizable queen-sized ‘DELAKTIG’ bed, set to launch in March, has an aluminium frame and allows you to choose from a variety of ‘DELAKTIG’ headboards. You can slide the selected headboard into the designated notch, then secure it with the fasteners. 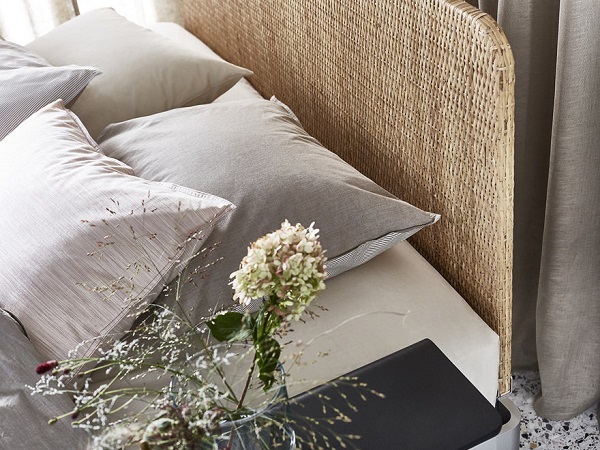 The headboards come in black wood to give off a sleek aesthetic and rattan for a rustic feel. 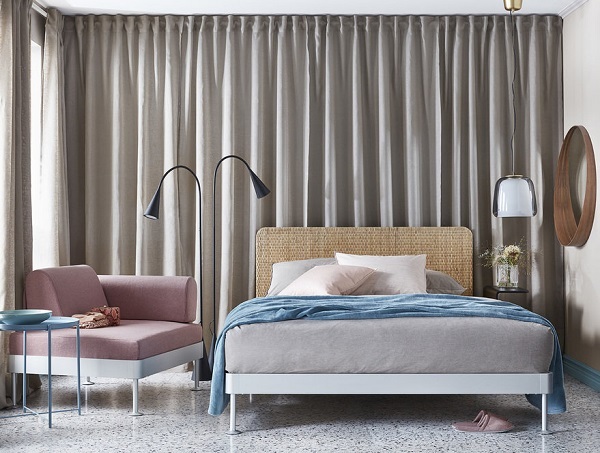 The bed frame also allows you to add on side tables and lighting options. The bed plus the frame and two side tables will retail for US$429. If you wish to purchase the bed and headboard only, it retails for US$449. For US$549, you can get the bed, frame, headboard and side tables.